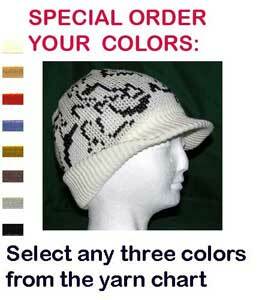 Choose: Size One Size Fits Most (shown in the photo): See our Sizing Chart below: This is the Size Large. Or Choose XLarge. 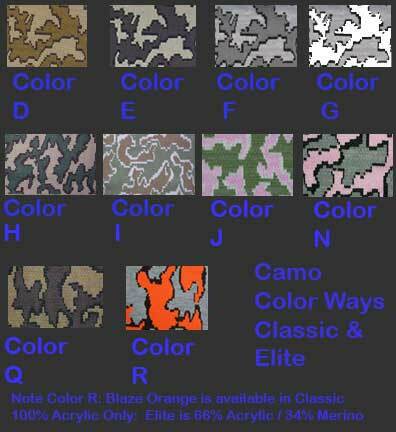 Click Here to see a View of some of the Merino Wool / Acrylic Camo Color Choices for these camouflage visor caps. 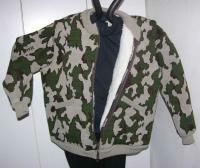 There is also an article showing photos and samples of all the camouflage color ways The Knit Tree offers: See the information box on the left side. We really enjoy getting special requests from our clients to fill their personal knit garment needs. 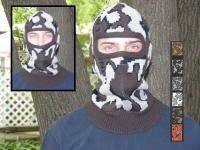 Matt Howe contacted us and said that he was 'obsessed with Bow Hunting' and was looking for some special knit camo garments. 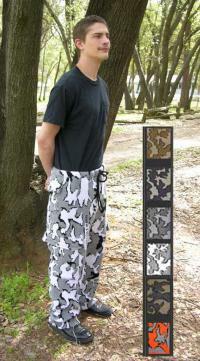 So we credit Matt, from Michigan, with inspiring The Knit Tree to design this line of new camouflage clothing especially with the hunters needs in mind. The style is selected to give a comfortable fit. 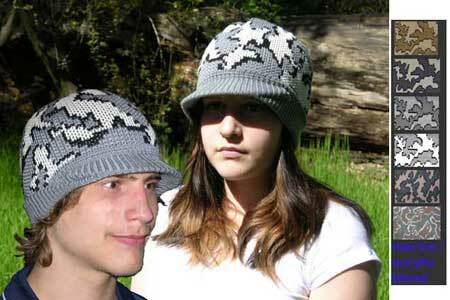 The silky soft merino wool blend adds even more comfort! YOU WON'T WANT TO TAKE IT OFF! If our inventory is low, allow 1 week for us to especially hand loom your size. These caps are individually made and not a 'mass production' item. We take pride that each item is made to our high quality standards. The head measurement is taken around the head just above the ears and eyes. If you have any questions, please email me at customer service/contact us. Remember since these are all custom knit, we try to keep a good inventory of the size large, but if you go to checkout and it says this item is not in inventory, allow 1 week and we'll knit your size especially for you! Submitted by Emailed in Review on Fri, 08/09/2013 - 20:03. Submitted by Emailed in Review on Fri, 08/09/2013 - 19:50. 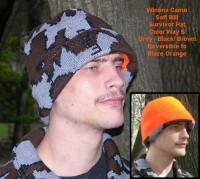 "A Knit Winona Camo© Survivor Hat ~ Select Colorway ~ Classic or Elite"